Beautiful movie but the story felt slow. Plus there wasn't enough of the water "monster" . overrated. anyway oscar it is. Promised fairytale with a love story left me totally unmoved & disappointed. No love here. Del Toro's vision is enchanting and immersive. Beautifully made. Required a leap I couldn't make. Unsatisfying for a love story. Poetic fairy tale with gorgeous cinematography and a lead actress who outshines all of it. Woman finds herself a new fetish. I was expecting more of it. It is good, but nothing extraordinary. Lovely fairy tale with a beautiful soundtrack. 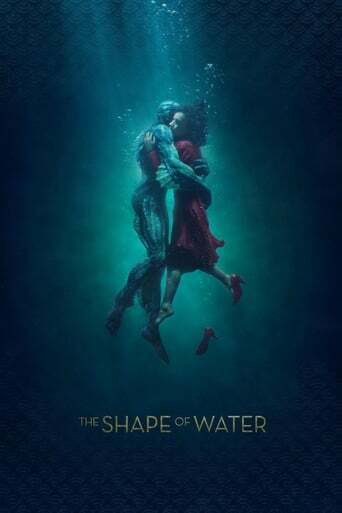 Del Toro is one of my favourite directors and this is one of his best. A perfect film. So romantic, beautifully shot, amazing performances, quirky and gritty. I had heard mixed reviews but glad I went to see it.Weird in parts but very good. Made it about halfway through before realizing I just didn't like the story. Maybe later. Weird but beautiful with talented cast and great music! It made me feel i was made of water. very good every thing, must watch!! Simply beautiful to behold. Unusual characters in a well-worn story. Bafflingly critically acclaimed mash-up of tired clichés and genre tropes.